Description: Play a relaxed game of Mahjong. 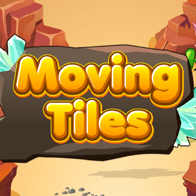 Combine two of the same free tiles to remove tiles from the game board. Instructions: Mouse or Tap gameplay. Nice mahjong game. Soothing music, easy to read tiles. Fairly easy mahjong, 20 levels. Lovely game, pleasant relaxing music, 20 levels in all.